Chiraito has been used by Nepali locals since old days and this is one of the traditional medicinal herbs used by people of Nepal. This herb is mainly used for the treatment of stomach aches, constipation, excess urination, parasites cure and malaria treatment. The Chiraito is a popular medicine herb found in forests and open slopes of the Himalayan region of 1600 meters and 2500 meters above sea level. The plant of Chiraito is made of ingredient called “chiratin” which is bitter in taste and is generally one meter high. 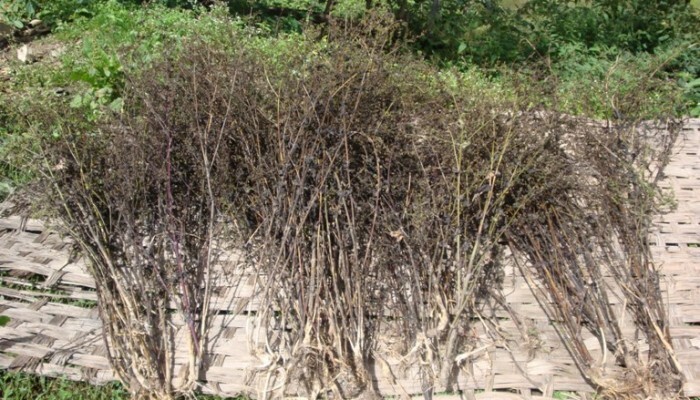 The Chiraito herb is considered as the vulnerable plant by IUCN and the illegal harvesting of this herb is banned by the government of Nepal. The Chiraito herbs are legally farmed within the community forests and subsidiary lands on eastern hilly regions of Nepal. The breed called S.chiravita is produced more than other breeds of Chiratio herbs which cover 80% of total volume due to superior in quality to other species. The Chiraito herb is used as anathematic, appetizer, bitter tonic in medicine preparation. Beside that Chiratio is used as bitter flavoring agent in alcoholic preparation and also used in medicines for treatment of Cancer diseases. The Chiraito herb has most demand on foreign and its has been exported as crude herb to countries like India, Malaysia, Singapore, Germany, Italy, France, Switzerland, Sri Lanka, Bangladesh, Pakistan and USA. Nepal is the supplier of 50% of world’s total amount of Chiraito. The total number of 29 species of Chiraito is found in Nepal. This herb is found in swamps, lowlands, meadows, open plains and shady plains. This herb is found in subtropical region of 1000meters to alpine regions of 5600meters in western, central and eastern regions of Nepal. The Chiraito is found in 40 districts of Nepal where most of the district falls in the central region. This herb is used for wide variety of medicines of Ayurvedic and Allopathic sectors. Besides that this herb is used for other medical cure of disease like bronchial asthma, cold cough, diabetes, urinary disorder, febrifuge, gastritis, gastric ulcer, inflammation, burning sensation, jaundice, leucorrhoea, obesity, skin diseases, wounds, hepatitis, typhoid fever, vomiting in pregnancy e.t.c.